» ATMs in post offices and some convenience stores accept foreign cards. Most hotels and department stores, but only some restaurants and ryokan, accept credit cards. » Visas are issued on arrival for most nationalities for stays of up to 90 days. » Only 3G phones work in Japan. SIM cards are very hard to find. Mobile phone rental is common and easy. » Brilliant public transport system: trains, buses, ferries and planes are all widely available and efficient. » Flights are pricey around the Golden Week (early May), O-Bon (mid-August) and New Year. » Honshū cities are busy in the cherry blossom (late March to early April) and autumn foliage (November) seasons. 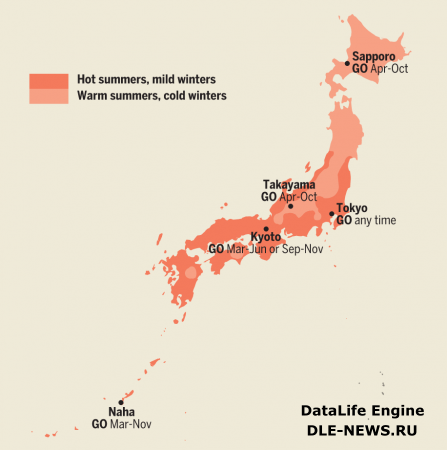 » June and July is rainy season in most of Japan (except Hokkaidō) – it doesn’t rain every day but it can be pretty humid. 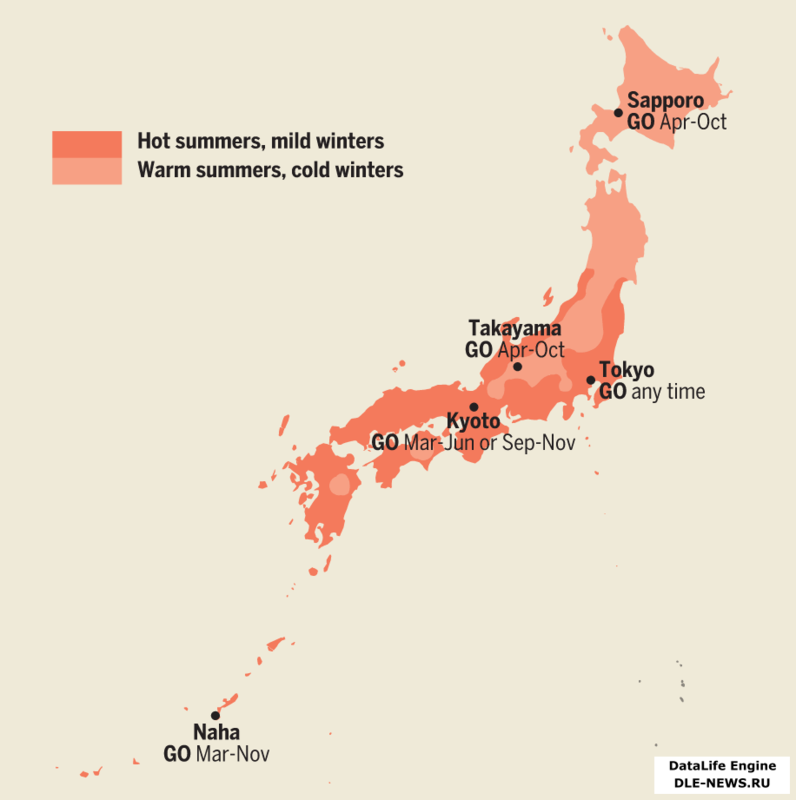 » Autumn (September to mid-December) is usually cool and clear. » Winter is cool or cold in most of Honshū, but it’s fine for travel. » Be ready for snow in the mountains.